YCR Distribution Limited are pleased to announce a partnership with Hisense Systems. 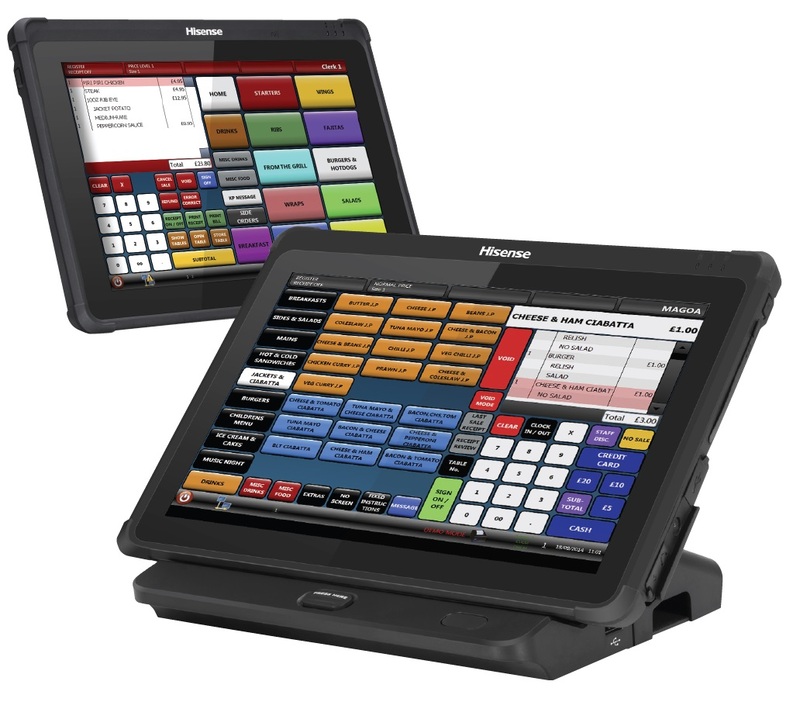 YCR, market leaders in the distribution of Electronic Point of Sale systems (EPOS) have become the sole UK and Ireland distributor for the Hisense POS tablets. Many of you may have heard the name Hisense, who were one of the main sponsors at this year’s Euro’s and are prevalent on the high street in shops such as John Lewis, Tesco and Argos with their white goods range. Founded in 1969, Hisense has grown into a global electronic and information conglomerate with a turnover in excess of $15 billion dollars. The Hisense HM518 rugged tablet features a 10.1”bezel free PCAP multi-touch screen, and is supplied with a docking station with I/O expansion ports to connect to a wide range of peripheral devices such as LAN connectivity, serial and USB ports as well as a cash drawer port. The HM518 meets MIL-STD810G standard for shock resistance (up to 4 feet) and IP54 standards for exposure to dust and water. Featuring an integrated MSR reader and 1D barcode scanner the HM-518 rugged tablet also includes a sturdy hand strap, and operates Windows 10iOT, all of which are standard features.